At an event in Mumbai on Thursday the Chinese smartphone vendor Vivo launched Vivo V7+ smartphone in India and of course company’s first smartphone to sport a display with 18:9 aspect ratio. This would be the first step from Vivo to get into the bezel-less design trend by launching Vivo V7+ that sports a nearly bezel-less display. Another big highlight of the Vivo V7+ is its 24-megapixel front camera that comes with a f/2.0 aperture and a selfie soft light. The dual-SIM (Nano-SIM) Vivo V7+ runs Funtouch OS 3.2 based on Android 7.1 Nougat. 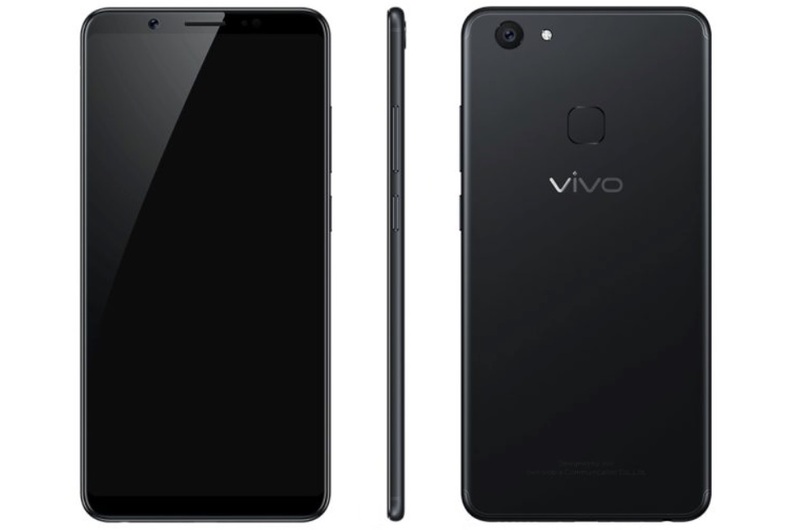 The Vivo V7+ sports a 5.99-inch HD (720×1440 pixels) IPS Incell FullView display. The phone has a screen-to-body ratio of 84.4 percent. Apart from the near bezel-less display, another highlight of the smartphone is a 24-megapixel camera on the front with an f/2.0 aperture, 1/2.78-inch sensor, and Moonlight selfie flash. At the rear, it sports a 16-megapixel shooter with phase detection autofocus and an LED flash. The rear camera is also capable of producing 64MP ultra HD images by merging four frames into one. It comes with Qualcomm Snapdragon 450 SoC coupled with 4GB of RAM and Adreno 506 graphics. The phone comes with 64GB of storage, which can be further expanded by up to 256GB via a microSD card. In terms of connectivity, it includes 4G LTE support on both the dual-SIM slots, VoLTE, Wi-Fi, Bluetooth, and GPS. The smartphone packs a 3,225mAh battery. The device is equipped with AK4376A Hi-Fi audio chip to deliver an immersive media experience. The Vivo V7+ has a fingerprint sensor at the rear and an all-metal unibody design. The Vivo V7+ price in India is Rs. 21,990. Pre-bookings open on Thursday, September 7, while the smartphone will go on sale in India on September 15. It will be available in Gold, Matte Black, and Rose Gold colour variants.